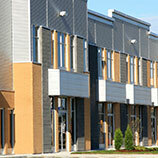 If you own a commercial property, you may have considered the pros and cons of selling the investment. It can be a stressful task getting your property ready to sell but at North Bay Property Advisors, we want to help you decide whether or not to sell your commercial property with a list of reasons you might want to sell now rather than later. Let’s say that you are charging the highest rent that you can get for the area that you are in. The value of your property can drop at any time and you want to make sure that you get out of your investment before that happens. 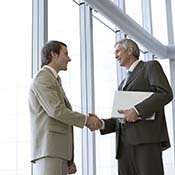 Selling your commercial property now while rent is high makes your property worth a great deal. Investors may think that they are getting a good deal, thinking “this will pay for itself in no time!”. But you know that you have milked renters for as much as you can. When you bought the property, it may have been fully rented and you were making a huge profit on your investment. But now, years later, those tenants have moved on to bigger and better things and no one is moving into your empty property. You don’t want to have to continue to pay property taxes every year on an empty (or emptying) property so it is a smart decision to get out now before things get expensive. When you have an investment property, you want to pay your mortgage off as soon as you can but you have to make sure that your Return On Equity is going up rather than down. Short real estate lesson: ROE = your net income/equity. This means that if you have a property worth $100,000 and you were earning $10,000 a year from renters, but only had $5,000 in equity, you would have a 200% ROE. Once the property is paid off, you will have to divide the earnings with the $100,000 the property is worth, giving your a 10% ROE. In other words, it is better to have the equity. 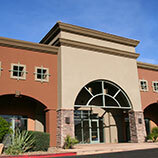 In the end, it just depends on what you are looking to gain from having a commercial property. You have to watch the markets and the community and make a decision that is right for you and your commercial property. If you are looking to fully leverage your property to expand your portfolio and you have a fully rented building, then selling the property probably is not the wisest choice. But if your property is in a dying part of town and struggling to keep renters then it might be a good time to think about selling your investment commercial property. If you have taken the time to consider the pros and cons of keeping your commercial property and have decided that it is no longer in your best interest to keep it, call the experts at North Bay Property Advisors and talk to us about your goals. We want to help.